You are here: Seaford Osteopathic Clinic > Latest News > General News > April is Foot Health Month! This April is Foot Health month, a chance to check that our feet are getting the care and attention that they need. 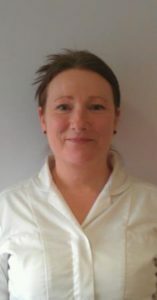 Local podiatrists Lucy Tewkesbury at Podiatry Clinic is looking to raise awareness of the importance of good foot health, as part of this campaign from the College of Podiatry. Foot care is important through all stages of life. For children, it is necessary to take extra care with foot health to avoid problems and deformities in later life, and as we get older, everyday wear and tear can take its strain. Podiatrists are experts in all aspects of the foot and lower limb, who undergo years of specialist training to enable them to diagnose, treat and help people to look after their feet and lower limbs. To mark Foot Health month, Lucy Tewkesbury is offering free foot health checks on Saturday 13th, 20th, and 27th April including a free foot health leaflet. Spaces are limited so please ring and book your foot health check on 01323 892002. Check your feet regularly. Common symptoms to look out for are yellow, brittle and discoloured nails – which can be a sign of a nail infection, flaky skin that may be dry or red or itchy – which can be a symptom of athlete’s foot, and any changes to the structure of the foot such as swelling to the joint around the ball of the foot. Foot pain is not normal. If you or a family member experience pain then visit a podiatrist. To talk to a podiatrist about the options available regarding treatment; you can contact an NHS podiatrist or a private practice podiatrist. In both cases, always ensure that any practitioners you visit are registered with the Health and Care Professionals Council (HCPC) and describe themselves as a podiatrist (or chiropodist). Visit www.cop.org.uk for more information about foot health and to find a registered podiatrist near you. The College of Podiatry is the academic authority for podiatry in the UK, and is the professional body for the UK’s registered podiatrists. It sets academic and clinical standards, promotes research and education and public awareness of foot health. Podiatry is the field of medicine that specialises in diagnosing and treating diseases and disorders of the foot and lower limb. ← Dragon and Tiger (Medical) Qigong – now at the clinic! I have been attending this clinic for several years. Both Paul Kent (Osteopath)and Helen Betts (Holistic Therapist) have solved all my hip problems and given good advice. Other members of my family have had excellent treatments with Helen also.